But indoor plants do many other things for us that not many of us know a lot about. There are many new studies emerging that are yielding unequivocal results about the measurable effects plants have on our brains—results that could benefit your business’s bottom line. Besides uplifting moods and improving job satisfaction, plants have been found to increase creativity, improve memory, and bolster productivity in people working in many different settings. If your business is sluggish and you’re looking for ways to improve your team’s morale, plants could give your workers the neurological boost they need to perform at their best. Many progressive business owners and managers already give their staff the freedom to design their own workspace. Most do this as a common courtesy—but little do they know they’re likely to be benefiting from this gesture in productivity. The Identity Realisation research group at the University of Exeter found solid evidence that designing your own workspace improves health, happiness and productivity of workers, benefiting their general wellbeing and the business’s bottom line. The researchers then investigated whether the principle could also be applied to creativity. They compared the effective output of 350 visitors, who were asked to measure their creativity, happiness and productivity in four differently designed work environments in a series of 90 experiments using indoor plants. The results enabled the researchers to put a figure on the influence of plants on the creativity of workers in the work environment: an impressive increase of 45%. Similar results were reported by Robert Ulrich from Texas A&M University, who showed that adding flowers and plants to an office resulted in 15 per cent increase in ideas and more flexible solutions to problems. Many of the mechanisms by which plants achieve these results are still a mystery, but there are some solid theories in neurology. Some researchers have found evidence that plants influence our senses and attention. Others have found that besides the physical health benefits plants give—of removing volatile organic compounds from the air, reducing carbon dioxide and giving oxygen, and regulating humidity and temperature—the simple act of seeing, smelling and touching plants also appears to elicit neurochemical responses in our brains that deliver measurable improvements in creativity, productivity, and our overall sense of wellbeing. And according to some evolutionary theorists, healthy trees and plants signify abundance of nearby food, reducing survival anxiety, which in turn causes calm and pleasant feelings that makes people happier and more creative. With so much evidence emerging, it’s reasonable to believe that plants measurably contribute to our psychological comfort, increase our creativity, and improve our business performance. With such an inexpensive, healthy, and effective way to stimulate your workers’ creative thinking, you might find indoor plant hire is a winning strategy for overhauling your business. Besides stimulating your workers to think outside the box and improve their creative strategies, indoor plants have another super power: strengthening memory retention by as much as 20%. Researchers at the University of Michigan and Texas A & M believe that just being around ornamental plants increases our memory and concentration, helping to improve the quality of our work and complete tasks with a higher accuracy rate. Part of this lies in the simple function of plants, which removes carbon dioxide and pollutants from indoor air. According to the Environmental Protection Agency, indoor air is more polluted than outdoor air, especially in densely populated metropolitan areas like Brisbane. 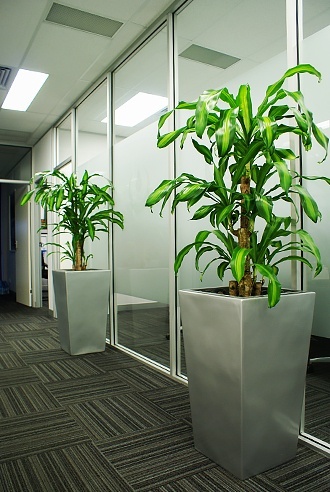 But it’s easy to resolve this by using indoor plants: photosynthesis, even in the most humble species, improves indoor air quality with injections of fresh oxygen that improve attention and memory in workers, as well as reducing their feelings of stress, drowsiness, fatigue, headaches, and poor concentration. Besides providing fresh air, there are many other possible ways that plants can improve our memory. Many scientists (and aromatherapists) will testify to the profound effects that different plant essences have on our brains, with their ability to evoke many different neurological processes through our olfactory system. Psychologists, in particular, have found that colour alone heavily influences our cognition—particularly the colour green, which is believed to stimulate our creativity. While there are a number of theories still being explored, it’s becoming clear that plants have memory-boosting power—and with no downside to worry about, they’re an indisputably smart choice for Brisbane business owners looking to boost their workers’ quality of life and productivity. With these increases in creativity and memory power, it’s only natural that workers and business owners will benefit from the rejuvenating presence of indoor plants in the workplace. 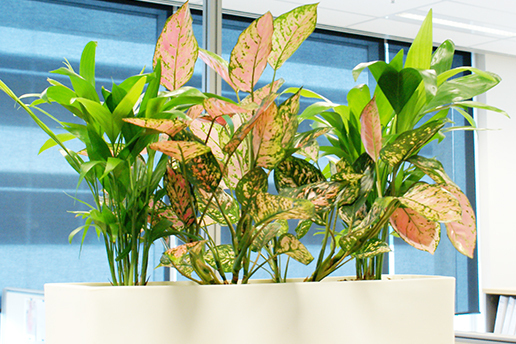 Recent studies show that just a few houseplants in an office can improve our productivity by as much as 38%, while improving our health by removing toxins from the air and giving us an overall sense of wellbeing. The research is also challenging the minimalist movement. Psychologists at Exeter University have described sparse offices as ‘the most toxic space you can put a human into’—and they believe that the design aesthetics in some of our busiest businesses are harming our workers. In a series of experiments, the researchers found that when they incorporated just one plant per square meter into offices, employee performance significantly improved on measures of memory retention and other basic tests. The researchers also believe that while everybody benefits from the improved air quality that plants deliver, it’s also psychologically important that everyone can see a plant from their desk—this visual stimulation appears to be strongly linked to workplace satisfaction and self-reported levels of concentration. 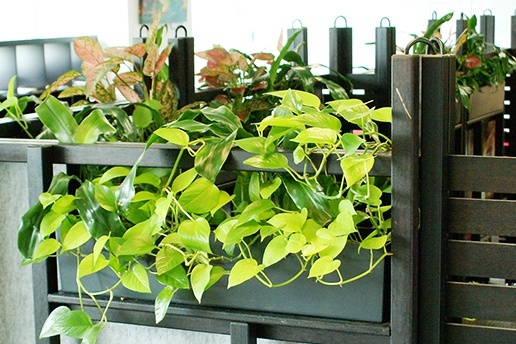 If you’ve been looking for a reason to spruce up a tired old business front, this is your evidence: the researchers claim that investing in plantscaping an office definitely pays off through an increase in workers’ quality of life and productivity. The best part about it is that it’s easy, if we employ techniques for smarter workspace design and management. 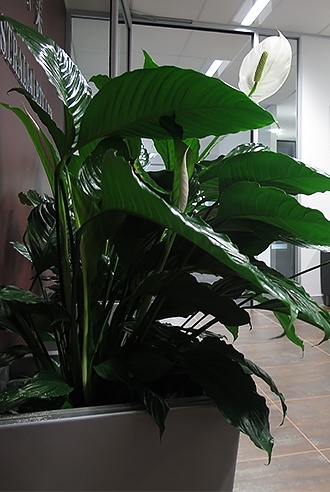 One of the easiest ways for business owners to do this is through indoor plant hire. 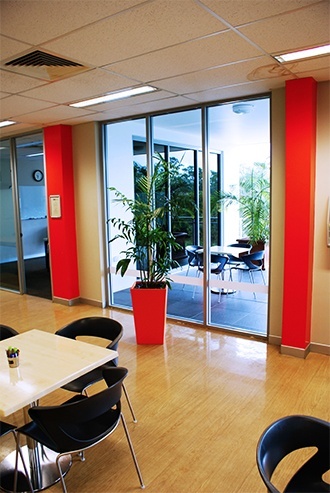 Brisbane businesses can increase their employees’ physical, cognitive, and emotional engagement in their work safely, easily, and inexpensively with indoor plants that are professionally tended to by Prestigious Plantscapes fully trained plant designers. Contact us any time to find out more about how we can help, and we’ll be happy to help your business bloom and thrive.